Late Night Hoops was in Las Vegas for the final evaluation period of the summer. Below are select comments on just a handful of the many players we saw. We have noted Minnesota and Marquette interest for certain players in the comments below. In an early Thursday game against Mass Rivals (Kaleb Joseph, Goodluck Okonoboh), Aytes, an unsigned 2013 player, looked like the older player on the floor. He scored inside with strength and facing up from 10-15 feet out; Aytes was rebounding everything in and outside of his area. 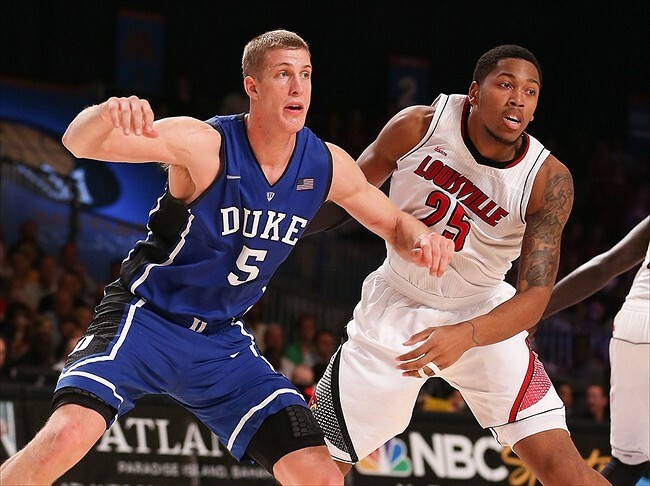 Rising junior Zach Price announced he’d be leaving Louisville earlier this month. This week Price visited Purdue and canceled a trip to Butler. The 6’10”, 250 center might visit Missouri and Minnesota next. There’s yet another player the Minnesota Golden Gophers could consider adding to help their front line in 2013-14. As has been expected, DePaul today formally announced that they had granted permission for Donnavan Kirk to look elsewhere and added that Kirk will graduate from DePaul this summer. 2013 big man Dominic Woodson (#83 RSCI) is looking for a new school after deciding against attending Baylor. The Bears will return 7’1″ center Isaiah Austin (13.0p, 8.3r per game in 2012-13) and 6’9″ forward Cory Jefferson (13.3p, 8.0r). Woodson spent the 2011-12 school year at Vermont Academy where he played with Minnesota Gophers’ incoming guard Daquein McNeil. Dominic is a native of Louisville, Ky. although he left the area in middle school. During the 2011-12 season, Louisville and the Pitinos were quite involved with Dominic’s recruitment. The Minnesota Golden Gophers are among the growing list of schools showing significant interest in 2014 guard Brandone Francis (you’ll also see his name frequently spelled Brandon). 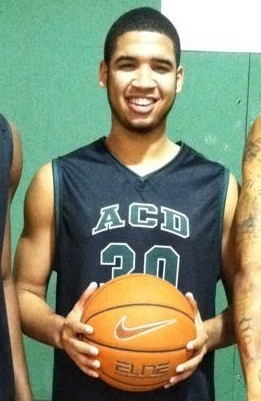 Francis is a strong 6’5″ guard from the Dominican Republic and is capable of playing several positions. We project his best position being a strong off guard in college. He’s also a talented passer and good enough with the ball that he could play some point, depending on the school and situation. In addition, Francis is big and strong enough to play as a third guard/small forward. Defensively, he should be able to guard several positions as well. Nice basketball IQ. Update: (April 30, 2013) Luke has committed to Vanderbilt. We’ll have many more thoughts from this weekend’s AAU tournaments after things wrap up, but one guy you may want to catch this weekend before it’s too late is Luke Kornet. Some program is going to get themselves a really nice spring recruit. Kornet is an unsigned 6’10”, 205 pound forward from the 2013 class. He’s playing with Texas Select in the Twin Cities this weekend at the NY2LA Sports Extravaganza. There’s been a lot of talk and interest in Luke’s teammate 2014 center Myles Turner and rightfully so, but Kornet was great again tonight after a strong performance last weekend. He’s from a basketball family (including dad Frank who played at Vanderbilt and two years for the Milwaukee Bucks; also was Luke’s high school coach this season), but hit his final growth spurt late. Although Luke has quickly shot up to 6’10” and put on some weight (still a long way to go), the perimeter game is still in tact. He’s continued to run the floor well and is a dangerous three-point shooter. Tonight in a 10-point win over Kevon Looney and the Milwaukee Rebels, Kornet delivered 15 points and 8 rebounds. His shot from behind the arc was working well and the stretch 4 scored a couple of times around the paint, including one that he got off over the outstretched arms of Looney. We like Kornet’s pedigree, his background, size and skill. He’s a nice looking player right now as 3-point threat, but there is good upside if he continues to expand his game and add strength. Texas Select next plays at 12:40pm CT Saturday on Hopkins high school Court 3 against Mid-Kansas. Recruiting: What Could Tarik Black Bring to Minnesota? Memphis junior Tarik Black elected to play for his home town Tigers, but he’s no stranger to the Midwest. In high school, Black made a couple of trips to Milwaukee and in the fall 2009 it appeared that he may be a Marquette lean before ultimately committing to Memphis. Minnesota’s chances seem at least fair even though numerous schools have expressed interest in obtaining Black’s services for the 2013-14 season. If Tarik places a high value on the opportunity to be a difference maker and play big minutes, Richard Pitino’s team should receive consideration. Minnesota needs help at power forward. The Gophers return three starting guards but lose their senior forwards Trevor Mbakwe and Rodney Williams. There are many possibilities, but not many better than Tarik Black. Played AAU with Memphis Magic. Gopher junior-to-be Dre Hollins joined the Magic after his junior year, thus missing Black by one year. However, the two shared several teammates. Despite walking out of a practice in November, he’s regarded by many as a good leader and we believe that to be a fair assessment. Was a starter before the walk out, but came off the bench for the remainder of the year. Dealt with a groin injury in late December / early January and missed three games. Black has been inconsistent and hasn’t realized his full potential on the court. A change in scenery may prove good for him. At a minimum he would provide the Gophers with physicality. With the loss of Mbakwe there isn’t much to speak of when it comes to physical interior players currently in the program. In addition to providing a 6’9″, 260 pound presence inside, there are many matches when comparing areas of need in 2013-14 and the abilities of Black. The Gophers didn’t shoot the ball well in 2012-13. Tarik isn’t a guy with incredible post moves or much range, but he can deliver the ball to the bottom of the net with great efficiency when at the rim. See the video at the end of this article to see him (almost – he was called for a charge- good call?) finishing against the Gophers. Gophers other than Mbakwe & Williams shot just 46.0% 2FG. Other forwards and centers – Eliason, Walker, Osenieks and Ingram – combined to shoot just 44.4% 2FG in 2012-13. Tarik Black’s career 2FG% is an impressive 60.0% (that’s also his eFG% as he does not shoot 3-pointers). His mark of 68.9% eFG in 2011-12 was the NCAA’s second best (of players averaging 24 mpg or more). The best thing about the Gophers’ offense this season was their work on the offensive glass. Mbakwe (~16%) was excellent and Williams (9.4%) was solid, but their three starting guards combined may have a ceiling of only 16% combined (less than 14% this season). Maurice Walker can create second chances and Eliason is tall, but the Gophers need help here. Tarik posted an OR% of more than 14% as a freshman and was just over 10% in each of the past two season. He’s not likely to reach Mbakwe-like levels, but it wouldn’t be unreasonable to expect 11-13% out of him if he played with Minnesota next season. Mbakwe’s defensive rebounding (24%) will also be missed and won’t be replaced by any individual. However, more time for Eliason (20%) will help. In addition, the replacement minutes for Williams (11%) should produce better results. After averaging approximately 11.5% DR in his first two seasons, Black posted a 16.0% DR% this year. Still, he was inconsistent and we believe there is upside even to this figure. Andre Hollins is the only returning regular who got to the line a good amount last season. Overall, Minnesota did a nice job of earning free throw attempts but that was in large part due to Mbakwe and Williams. Black can help soften the impact of losing the seniors. He drew 5.2 fouls per 40 minutes last year and enjoys mixing it up down low. His free throw percentage of 44.8% was miserable, but don’t sweat it too much. We believe he’s closer to being a 60% free throw shooter. Sixty percent might sound low, but on two attempts that still gets you a desirable 1.2 points per possession. There are reasonable questions to have on Tarik Black. How well can he rebound? Will he foul out 10 minutes into every game (6.3 fouls called / 40 minutes as a junior)? Can he be a great shot blocker (~6.5% block% in first two years dropped to ~3% as a junior)? There’s upside to both his offensive and defensive game – can he realize it at Minnesota? Tarik Black isn’t a surefire savior. Nonetheless, we believe bringing him in would be a no-brainer for Minnesota if he was open to it. His skills, leadership abilities and experience combined with new scenery (but some familiar faces) might be the recipe for heightened success as a senior. At a minimum, you’ve got one tough young man on your roster at a position of need. In the video below Tarik comes off a pick, receives the pass and jams it home.. (all for naught as Minnesota’s Andre Ingram takes the charge, but an impressive display by Black).